Recently, the University of Wisconsin-Madison sponsored a public Q&A session with the punk rock band P***y Riot. The group is famous for staging anti-Putin protests in Russia. Unfortunately, they have vented their anger by desecrating Orthodox churches. The desecration involved the performance of a “punk prayer,” a song that intentionally mocked Orthodox services. Their parody included the phrase “Sran Gospodnya,” which literally means “s**t of the Lord.” The group also called Patriarch Kyril a b***h (suka) and accused him of believing in Putin rather than God. During the Soviet era, along with torture and murder of Christians (and others), the desecration of churches was a common tactic as the Communists tried to create an atheistic state by force. That means that church desecrations are to Orthodox Christians in Russia what cross burnings would be to African-Americans. That P***y Riot, or any similar group, is welcome on American college campuses, reflects badly on the moral health of these institutions. To be blunt, the crude intimidation of a conservative speaker on UW’s campus makes me skeptical of these assurances. Shapiro’s talk was delayed for about a half hour by UW students at the invitation of a Facebook page “F*** White Supremacy, Interrupting Ben Shapiro.” Protestors chanted “Shame!” and “Safety!” making it clear that UW isn’t a welcoming place for those of us who disagree with the secular and progressive orthodoxy that holds sway on this and other campuses. Based on what happened at Shapiro’s lecture, my “rights to speak out” publicly and on campus against P***y Riot aren’t as secure as administrators wish to pretend. When protesters stood in front of the room to block Shapiro, frustrated audience members shouted “Tell us what you want or get out!” One protester wanted the audience to confess they were all white supremacists. Another wanted people to know that “trans-students” and “students of color” are at highest risk for (presumable) violence (hence, the chants of “Safety!”). But there’s a bit more to the story than a speaker being patient. At UW and many college campuses, “free speech” means that I must allow people to disrupt me in ways that I would never disrupt them. Being subject to vulgar disruption is a pre-condition for those who don’t hold the campus orthodoxy. As a practical matter, this means that any event sponsored by a Christian group — lecture or worship service — if it’s held on UW property, is in principle subject to disruption by protesters. Free speech advocates call this the “heckler’s veto.” P***y Riot desecrated churches and UW has now, ­de facto, made clear that such behavior is acceptable not only in Russia but on campus as well. Free debate on crucial topics can’t happen when one side assumes that being on the “right side of history” allows them to shout down those with whom they disagree. Or to crassly mock their religious services, reminding them of past, blood-soaked persecutions. Russian President Vladimir Putin’s invasion, or if you prefer “annexation,” of Crimea and his saber-rattling should be protested. And while the relationship between Church and Nation — and so Church and State — in Russia (see here and here) is more complicated than P**y Riot and their Western supporters think, they should be commended for questioning the close connection between Putin and some members of the Moscow Patriarchate. My concern about the relationship between the Russian State and the Church of Russia is hardly unique among Orthodox Christians both here and in Russia. But free debate on crucial topics like that one can’t happen when one side assumes that being on the “right side of history” allows them to shout down those with whom they disagree. Or to crassly mock their religious services, reminding them of past, blood-soaked persecutions. Nor is debate possible when one side of the argument — the secular left — is given carte blanche to shout down any dissenting speaker. What we saw in the Soviet Union we see now, in seminal form, on college campuses. That P***y Riot is more feckless than fearsome doesn’t matter. UW’s promotion of the group’s thuggish behavior doesn’t just harm freedom of speech and freedom of religion. It harms the rule of law and all of us, whatever our faith and whatever our views. Fr. Gregory Jensen has been active in college campus ministry for 25 years. 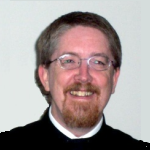 He has served Orthodox Christians students, faculty and staff at Shasta College, Simpson University, the University of Pittsburgh, Carnegie Mellon University and now at the University of Wisconsin-Madison. A popular retreat master, he is the author of The Cure for Consumerism (2015) published by the Acton Institute and scholarly articles in psychology, theology and economics. My problem with this is that these people are allowed into the church building to begin with. Where is the priest? Where are the ushers? Where is it written that we have to stand idly by and permit these things to happen? proceeds to shut the event down, sue them for failing to provide protection to a sponsored event. This is not “returning evil for evil,” it’s acquainting the willfully ignorant with reality. when confronting the Pharisees. He didn’t expect to be shouted down, and didn’t tolerate it. St. Patrick duplicated at Tara Elijah’s demonstration at Carmel. To do less would have been to permit evil to continue to dominate. Really? Come on they were protesting Putin, this had nothing to do with Christianity. Fake news ? 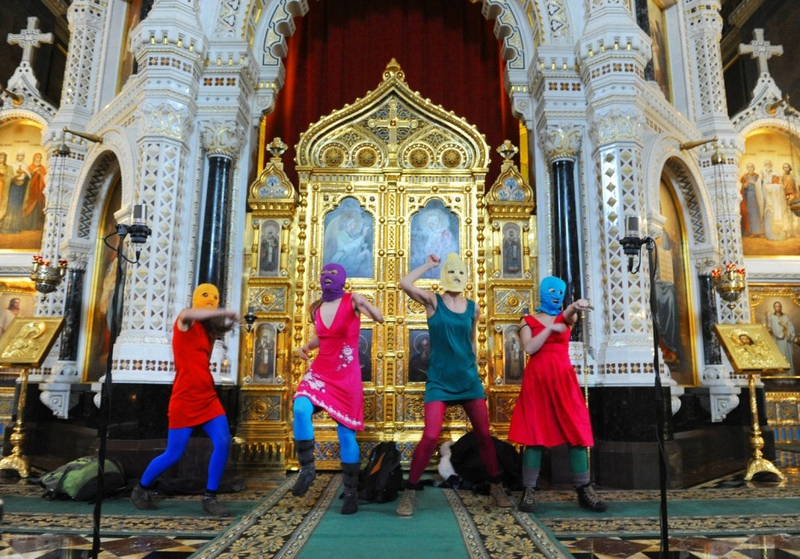 So it is OK to desecrate a Church as long as your are protesting Putin? Or are you saying that because Putin is being protested the desecration of a Church should be ignored? Any one who uses the phrase “fake news” in a pejorative fashion has absolutely nothing intelligent to say and is just trying to shut down thought, discourse and deflect any approach to the truth.